Inspired by all the amazing work that can be found on Threadless, I decided to design a t-shirt for Valentine’s day. 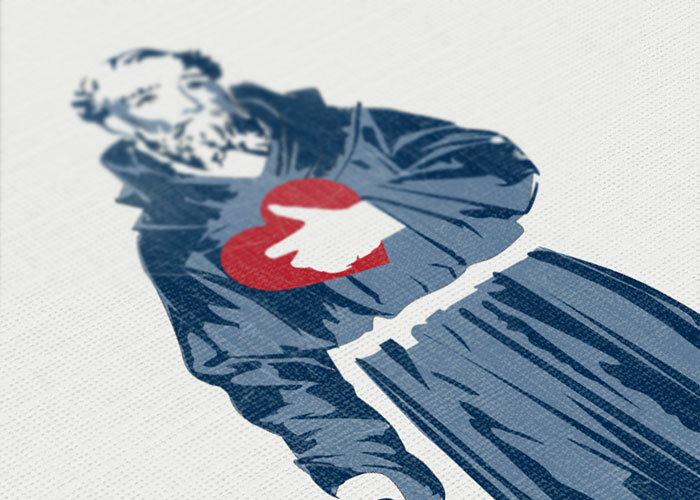 I’ve always been fascinated by Catholic saints and decided to create a t-shirt featuring Saint Valentine. I created the vector using the pen tool and a photograph of a saint statue. 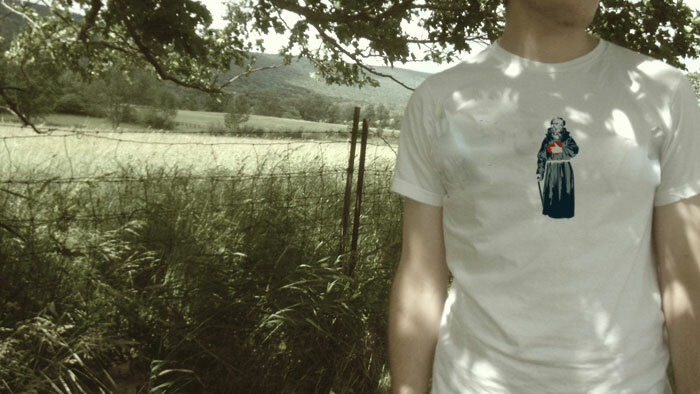 The design uses three colors (light blue, dark blue and red) making it easy to silk screen. 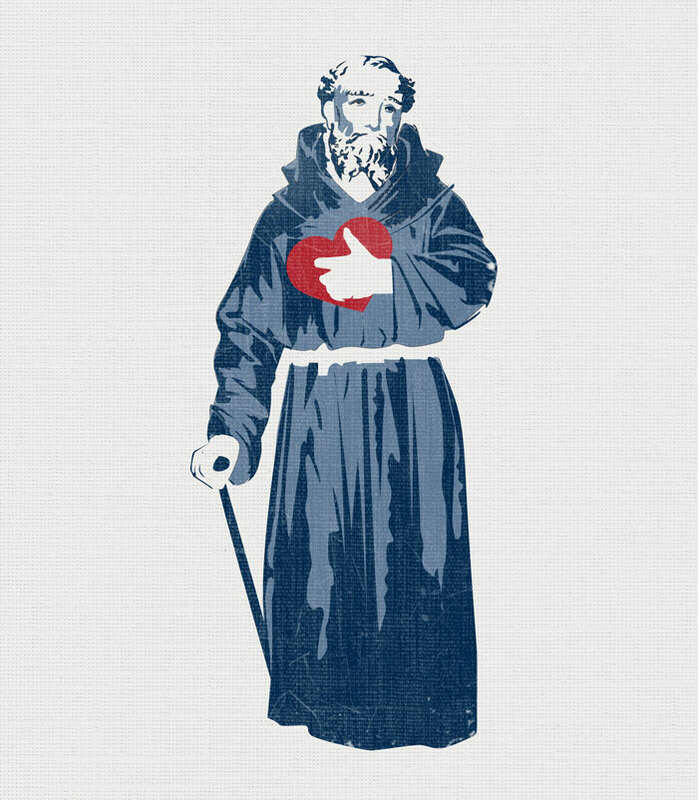 I put a valentine in the saint’s hand to emphasize which saint it is.